Families grow as the crew of the Phoenix deals with hostages, encounters with new races, and settlers. 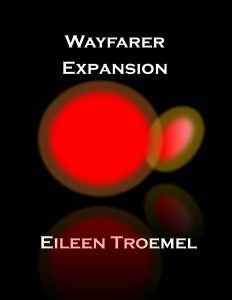 Five months pregnant, Adara keeps working as a pilot, negotiator and as Mathair Naclan. Decker works to adjust to her new needs and limitations. The Phoenix is on the front line for tackling the Hettian threat as well as transporting settlers to their new planet. I love addressing women’s issues in my books. In this one, I tackle the issue of how do women keep working while being pregnant. I keep Decker and Adara very busy in this book with trying to find a balance of protectiveness and freedom. They fall back into old habits but find their way through the situation. How does an active vibrant woman slow down her pace when she becomes pregnant? In this book, I have Adara trying to figure out her limits. Decker has to figure out how much he has to help her limit her activities without stepping over a line of being domineering. It’s a fine line. “We’re going to use the com,” Franklin said. “Do we know if she went by a nickname,” Adara asked. On the screen, Carbonell’s head snapped up, she looked around to see where the voice came from. “What do you want,” Carbonell snapped out. Her voice low and thick. “Private Amato? You can’t let Private Amato go,” Adara asked. “Can you let Private Weis go,” Adara asked. “Does he need medical,” Adara asked. “Because you couldn’t protect your sister,” Adara asked. “What do you know about my sister,” Carbonell growled at her. “He’s going to find her,” Carbonell said. “Yeah but no one will believe me,” Carbonell said. “Did you see Caulfield,” Adara asked. She kept watching Carbonell on the screen, saw how she jerked at Caulfield’s name. “Yes but I’m tired. I stood guard all night,” Carbonell said. “I… I’m so tired,” Carbonell said. “I don’t know,” Carbonell rubbed the phase pistol against her temple. “Do you think someone else would be better for keeping her safe,” Adara asked. “Yeah. To the Chief, I trust the Chief. She’ll take care of Amato, keep her safe,” Carbonell muttered. Lena walked to the door of the storage room. To either side of her fighters braced to storm the room and detain Carbonell. Lena knocked on the door. It slid open to reveal a nervous and sweating Carbonell. “You’ll keep her safe, keep him from hurting her,” Carbonell said. “Yes, now hand over your weapon,” Lena ordered. Carbonell held out the pistol. “Are you going to fight,” Lena said. “Yes, ma’am. I’m sorry, ma’am,” Carbonell said.